A new and fresh way to capture a special event! 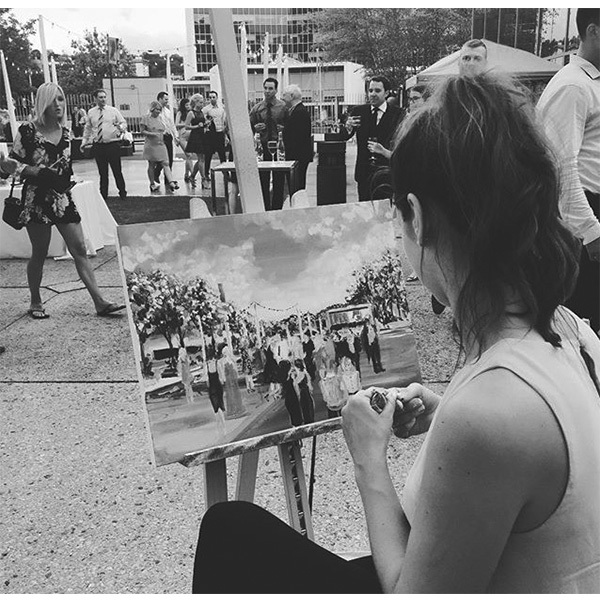 Guests love to watch a painting come to life in a few short hours, and may even spot themselves in the piece! The painting then becomes a treasured part of your home. Please note for weddings - Niki will not paint the bride and groom directly. Her live event work focusses on the energy of the crowd and the movement of the guests. She wants it to look more like a piece of art rather than a snapshot of the bride and groom. Prices begin at $1405 + tax. Please contact Niki directly for a quote.